In addition to his upcoming album with avant-garde supergroup Kimono Kult, Ex-Red Hot Chili Pepper John Frusciante has an 11th solo album on the way. Yesterday, he announced that Enclosure would hit shelves on April 8th, and shared "Scratch," the album's leadoff single. Stream it above via SoundCloud, and download it for free by entering in your email address into the box below. 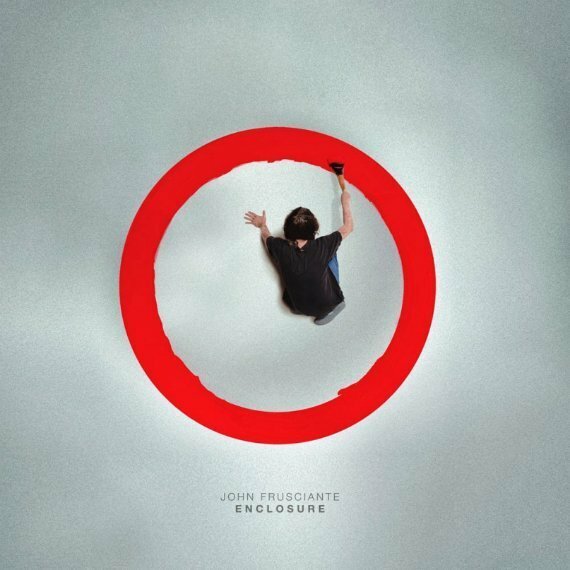 In contrast with the relatively straightforward Black Knights album mentioned above, which came out in January and was produced entirely by Frusciante, "Scratch" is a composition that feels like the product of one man's very open mindset. Drum patterns vary by the measure, Frusciante's voice fluctuates between soulful and gruff, and the song's structure is all over the place. There were stranger compositions on PBX, but "Scratch" represents the kind of careful treading of the line between poppy and avant-garde that has defined Frusciante's post-Peppers solo work. Stay tuned for more info on Enclosure, and revisit Kimono Kult's "Todo Menos El Dolor" right here on Zumic.